While there is an ongoing law suit against Amazon on the matter of Kindle leather cases causing damage to Kindle devices, a user on mobileread.com forum has proposed a simple solution. While it will not help if your Kindle is already broken it will prevent you from damaging your device by opening the cover on the wrong side. All you need to do is stitch some velcro tape to the upper right corner of the cover like shown on the picture. If you don’t want to stitch I believe that epoxy or super-glue will also do the trick. The original thread can be found here. Personally, opening the cover on the wrong side never was a problem for me as I always make sure that I see the logo badge before I open it. But it may be helpful to someone. Software bug. Several users have reported Amazon.com website having some glitches recently. Amazon did this unintentionally. It could be that they’ve rolled out a general system for geographically targeting or restricting certain products (not just Kindle books) and this message is one of the effects of this system. Perhaps it’s related to upcoming Kindle UK release… If that were the case, based on my own experience with software industry I would estimate that UK launch to be within weeks from now since it doesn’t make sense to make changes to production website that makes millions of dollars worth of sales per day long before you plan to release something. It can be Amazons major move for this holiday season and it would totally make sense. Though this is 100% my speculation. In this particular matter I doubt that Amazon would go do great pains to strictly enforce geographical restrictions on Kindle books. Mostly it’s because relatively few people used this loophole and amount of money involved is not significant. If Amazon were to press the issue, it would generate bad publicity just as Orwellioan deletion did. So they’ll only do what is needed to get the particular publisher happy. So I’m sure in time people will find a workaround for this problem. One good way to try would be to have a separate browser that uses US pusroxy for all interactions with Amazon.com website from the day you create your new account. I’d recommend using real HTTP proxy that you configure in your browser rather than anonymizer websites that load destination websites in a frame as these are prone to bugs. The following proxy list would be a good place to start. If you are affected by this issue or can add valuable information about the topic – please post a comment. So it looks like it is IP-related. Using public US proxy or VPN should solve the problem. I’ll look into the UltraSurf software and will post a review once I’ve tested it myself. Amazon specifically doing the check for people without one click buying option would explain why most US residents travelling abroad like me will not be affected by this change. I’m the guy who started the “Am I Screwed?” post on mobileread.com. I update the thread. The problem is now over. People can buy books normally again, without needing to use a US IP. Amazon says it was a temporary glitch. I myself (in Canada) just bought a book normally and successfully. So it looks like this might be a side effect of upcoming international release or a simple bug. Thanks to everyone who helped contribute information on the issue. 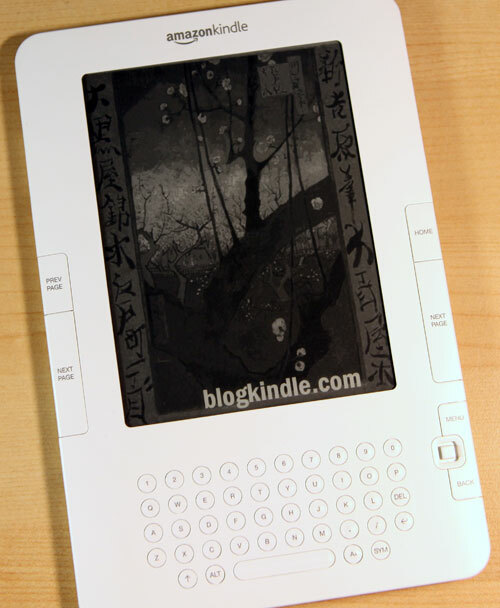 Interesting Kindle 2 related story is developing in MobileRead Forums. In a nutshell – Amazon customer had his account banned for allegedly excessive returns of expensive electronics. That would have been the end of the story but he also happened to own a K2. And with his account banned he lost access to Kindle Store, Archived Items and official warranty. Returning the Kindle for a refund is also not possible. So currently he only has books that were present on his Kindle at the moment of Ban and two options of getting new books: 1) ones that are freely available for download and 2) illegal way of getting non-Amazon DRM books. Be careful with your returns. It looks like Amazon doesn’t issue warnings before they ban your account. Engadget reports that undisclosed law firm on behalf of Amazon.com sent cease and desist letter to MobileRead.com admins demanding pages that host instructions on how to use Python script that allows you to read legally purchased DRM protected eBooks in MobiPocket format on Kindle and Kindle 2. My personal opinion is that it’s not as simple as Engadget and TechDirt would like to portray it. 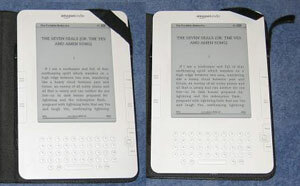 For one, Engadget’s statement that the script “script, which can’t actually be used to break Kindle DRM” is misleading. I will not elaborate why. If you research the matter yourself, you may find out what I mean. I don’t want to take sides on this particular issue, I just want to point out that there’s more to it than meets the eye or what’s written in mainstream news. While I am personally a big supporter of open information market where content creators and distributors are fairly compensated for their work and law-abiding users are not limited by crippling DRM systems that bind them to specific hardware. But before this can happen market should get big enough. Otherwise it may collapse because of extreme competition. Amazon is currently the biggest driver or eBook market growth. Cut their profits, their eBook business may collapse and there will be no market at all. Recent release of Kindle application for iPhone and iPodTouch is a step in the right direction towards more open information market. Because it allows usage of purchased digital content to be freely used across two different software and hardware platforms. Hopefully soon more steps like this will follow.